As a practicing pharmacist, people are often visibly surprised that I would also be trained in something as “alternative” as hypnotherapy. And I admit, I was slightly cynical when I first started studying it; right up until I actually started working with clients as a student practitioner. However, I was quickly impressed with the real improvements my volunteer ‘guinea pigs’ made in just a few sessions. And the truth is, while there’s still huge amounts of work to be done in studying its potential, the branch of hypnotherapy that I’ve been trained in already has a vast amount of scientific research to validate its efficacy. Solution Focused Hypnotherapy is, as it sounds, focused on finding solutions to our client’s problems, rather than talking over past issues. It has its roots in the American technique of solution focused brief therapy, but has been supercharged by adding the ancient and mystical powers of hypnosis…. Joke. There’s no mysticism to what I do with my hypnotherapy clients! It’s a therapy rooted in neuroscience and uses an understanding of how our brains work at both a structural and a cellular level to explain why we can behave as we do and how we are able to influence that to make lasting positive changes. And that’s what sold it to me – hard science. Hypnotherapy really isn’t something mystical or mysterious, relying on superstition and sleight of hand, but something validated by the most modern of research techniques and with an evidence base that’s growing all the time. While I don’t actually offer hypnotherapy during my hours of work as a pharmacist, I often wish I could. There are so many patients I see that I know could and would benefit from adding hypnotherapy to their standard NHS treatment, and the bonus for me – and them! – is that there are no known side effects to hypnotherapy. 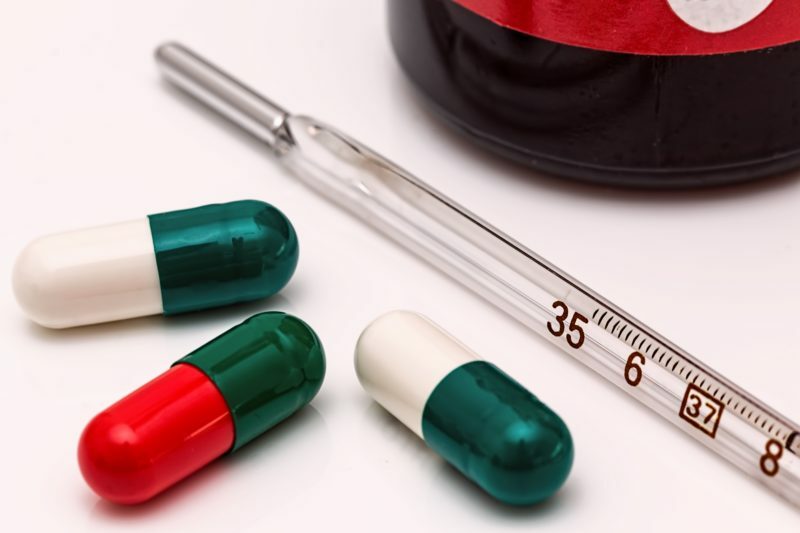 Modern medicine uses powerful, scientifically tested and effective drugs to treat many different health problems, but many of the these drugs have significant side effects that limit their use, or reduce their benefit to the person being treated. In some cases, the patient may need to be prescribed other drugs to counteract these side effects when it’s vital to continue taking the original drug. Hypnotherapy on the other hand, is safe for just about anyone. Age isn’t relevant, neither is high blood pressure, heart failure or any other health issues such as cardiovascular problems, high cholesterol, asthma, diabetes or even cancer. In fact, there’s no real physical limits to its use, which is why it’s becoming such a valuable technique to those aware of its potential. Hypnotherapy, for me, really shines in the treatment of conditions such as depression, anxiety, insomnia and many other stress-related conditions – interestingly, the very conditions which standard prescription medication struggles to deal with. While it would be unethical (& potentially harmful!) to suggest to all my patients taking medication for these conditions that they should simply stop them straightaway, and come to see me instead, there IS a real role for hypnotherapy in their treatment. For example, the current ‘NICE’ guidelines followed by the NHS itself recommend hypnotherapy as the best treatment for irritable bowel syndrome (IBS) as it’s often started or made worse by stress, which hypnotherapy deals with much more effectively then the next best treatment of anti-spasmodic tablets and restrictive diets. And that’s the clincher. Hypnotherapy can be more than just a supportive add-on therapy, softening the impact of conditions like depression, eating disorders, anxiety and IBS – it is a real stand alone treatment in its own right, often acting more rapidly and effectively than antidepressants, the current drugs of choice for these issues. Let’s look at the way depression itself is treated for a moment. More and more people are being prescribed antidepressants than ever before – I counsel several of my pharmacy patients on their new medications every day. A report from the government’s Health & Social Care Information Centre says the number of antidepressant items prescribed and dispensed in England has more than doubled in the last decade. In 2015, there were 61 million antidepressant items prescribed – 31.6 million (107.6 per cent) more than in 2005 and 3.9 million (6.8 per cent) more than in 2014. Unsurprisingly, there’s a huge cost associated with this – it’s risen by £19.7 million (7.4 per cent) to £284.7 million, meaning that in 2015, antidepressants cost the NHS £780,000 per day. There’s a huge social burden associated with this, too – many depression sufferers are unable to work for extended periods, causing problems with their employment as well as adding financial pressures to the stress of being unwell. It’s no wonder so many people visit their GP, desperate for support and relief, and after the briefest of chats with their stressed, time pressured doctor, end up with a prescription for ‘tablets’. These can often be sleeping tablets or other additional sedatives for anxiety as well as an antidepressant. In line with World Health Organisation guidelines, and those adopted by the NHS/NICE, most are on their medication for at least a year, (often several years) for fear of a relapse if they should stop. While it’s understandable to want ‘happy pills’ or a ‘quick fix’, antidepressants can actually take up to three weeks before they show an effect, while the side effects include nausea, drowsiness, sexual dysfunction, heart beat irregularities and, worryingly, suicidal thoughts, especially in younger patients. Taking the sedative medicines for long periods can often lead to dependency and abuse, not to mention unpleasant withdrawal effects. Contrast this with hypnotherapy sessions – my clients report feeling better after their first hypnotherapy consultation with me, as I have been able to explain to them exactly what’s going on in their brain to make them feel so low, and how, by working together with me, they can help themselves feel better. And that’s the difference. Hypnotherapy teaches the client themselves how to make their brain work better, from the very first session onwards, in an environment where they’re not rushed in and out in 10 minutes, without any nasty side effects or potential dependency. After around four weekly sessions, when antidepressants are perhaps only just starting to kick in, at the time when most GP’s are issuing another antidepressant prescription, all of my clients have made real, positive changes and are feeling better about themselves and their ability to cope with things, making real progress towards a depression-free future. And all without me burning incense, waving a pocket watch, clicking my fingers or making them cluck like a chicken! Claire Noyelle practices from her tranquil garden therapy room at her home in Bearsted, Maidstone East, in the heart of the garden county of Kent. Claire is a member of the Association for Solution Focused Hypnotherapists, National Council for Hypnotherapy and the Complimentary and Natural Healthcare Council and a member of both the General Pharmaceutical Council and the Royal Pharmaceutical Society.